Learn to tell if your dog is in pain with Dr. Mike Petty, DVM. Animals feel pain just the way we do, only they’re much better at hiding it. Only when a dog or cat’s pain is unbearable do they show us pain signals but by that time there’s something real going on. Our job is to never let pain get to that point. This Sunday on Tripawd Talk Radio we’ll learn how to identify symptoms of pain in dogs and discover the best treatment options with veterinary pain management expert Dr Mike Petty. On this episode of Tripawd Talk Radio, we’ll talk with Dr. Mike Petty about ways to determine if your pet is in pain and the treatment options that he feels are worth pursuing. Dr. Petty is a world-renowned expert on pain management in animals. 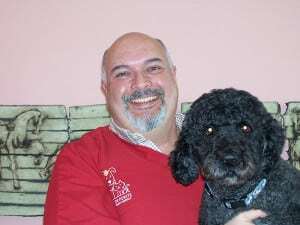 He the owner of Arbor Pointe Veterinary Hospital and Animal Pain Center, both in Canton, Michigan. In addition, Dr. Petty is the immediate past president of the International Veterinary Academy of Pain Management and the coauthor of the 2015 American Animal Hospital Association Pain Guidelines. 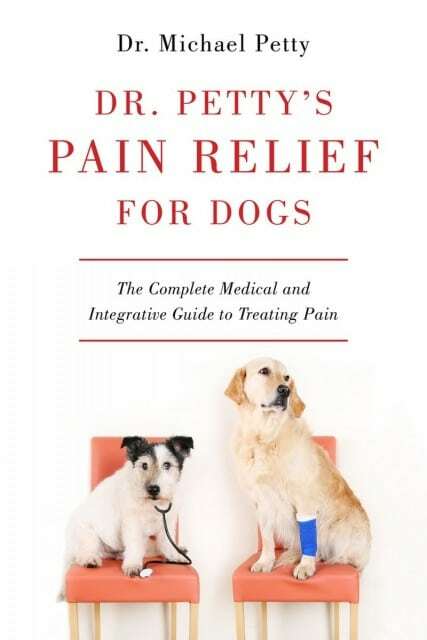 And, this amazing vet is the author of the book, Dr. Petty’s Pain Relief for Dogs, which can be pre-ordered on Amazon and will be available wherever books are sold on February 1. Please Note: We will NOT be taking live calls during this episode but will be consider addressing any questions posted for this show the Tripawds Discussion Forums. *You do not need to call in to listen to the show. The podcast will be posted in the Forums as soon as it is available. Hear all previous Tripawd Talk Radio podcasts in the Downloads blog , or see the program archives and schedule on BlogTalkRadio.